Arogel, a new generation air freshener enhanced with utility compartment that keeps your belongings while freshen up your area with its fresh and natural scent. 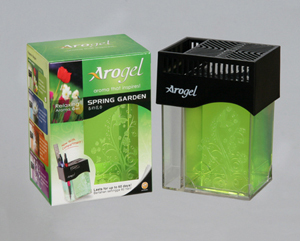 Let the freshness of Arogel linger pleasantly all daylong in your HOME, OFFICE and even in your CAR. It is easy to use, economical; with each Arogel can lasts for up to 2 months. Visit ww *** for more information.